Edward Van Halen earned his spot in the guitar tone hall of fame with the first note on his debut album in 1978 - so what better way to cele..
Edward Van Halen earned his spot in the guitar tone hall of fame with the first note on his debut album in 1978 - so what better way to celebrate one of the best guitar tones of all time with the EVH90 Special Edition pedal, produced in collaboration with MXR and Dunlop Electronics. 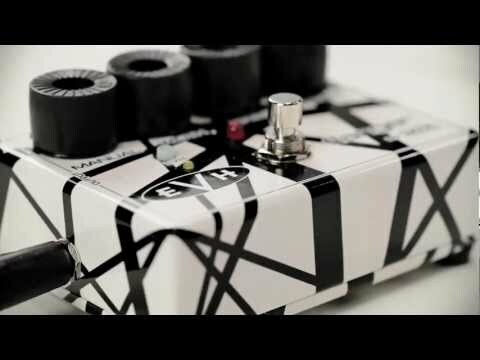 The 35th Anniversary EVH Phase 90 features a simple speed control and the choice of two distinct sounds - the "script logo" vintage phaser or "block logo" modern version. Experience great spacey swirls and hypnotic warbles that made the Phase 90 famous. Furthermore, you'll notice the pedal's distinctive and spectacular colour style and is only available for a very limited time, get yours now or risk missing out!